This garlic butter shrimp is what we call “restaurant quality.” Truly, it tastes like something you would be served in a fancy restaurant. You will see below that I used corn stock. I made this from my oven roasted corn after cutting off the kernels. 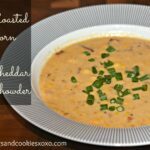 The recipe for the corn stock is found here toward the bottom of the page. You can, of course, use chicken broth instead but I highly recommend trying out the corn stock. 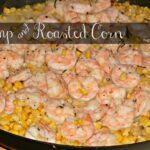 It added a crazy layer of flavor that really kicked this dinner up a notch-as Emeril would say! Also, let’s talk about the fried sage leave? Have you made such a thing before? Fabulous! 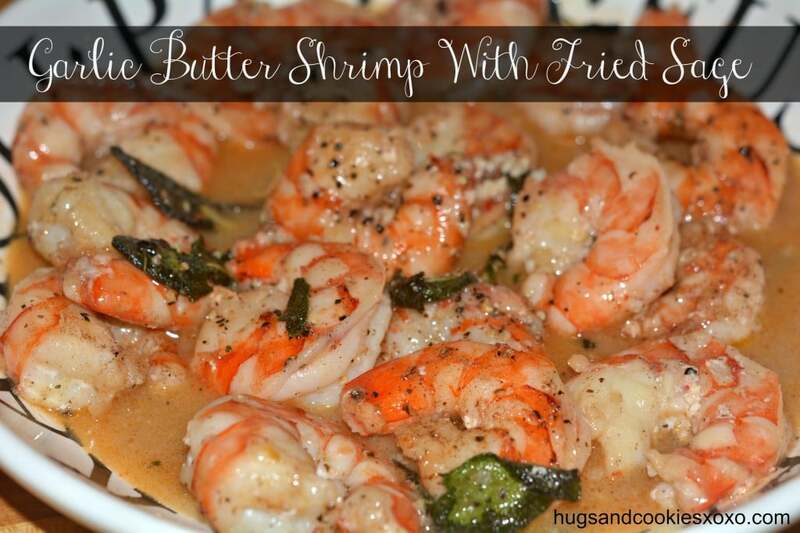 Fried in butter and topped with sea salt—-a beautiful and tasty treat! Melt butter in a skillet on medium. 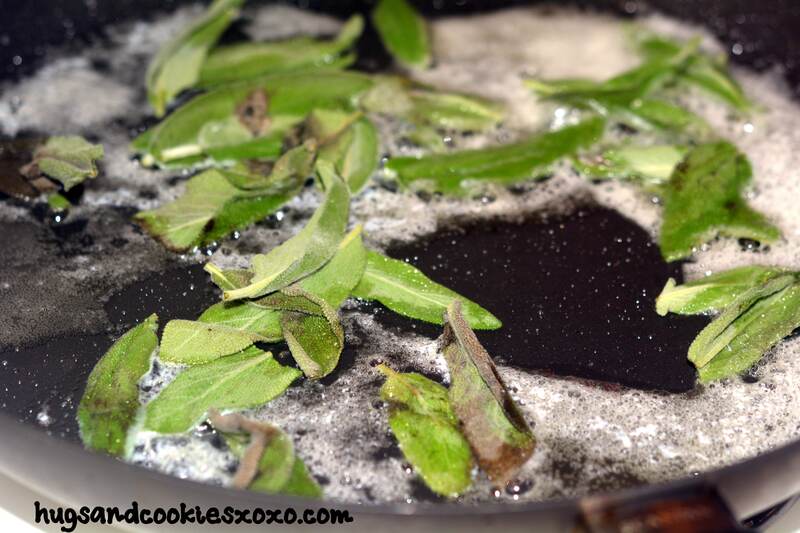 Add the sage leaves and cook until they stop sizzling, a few minutes. 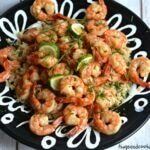 Put on a plate and sprinkle lightly with sea salt. Set aside. 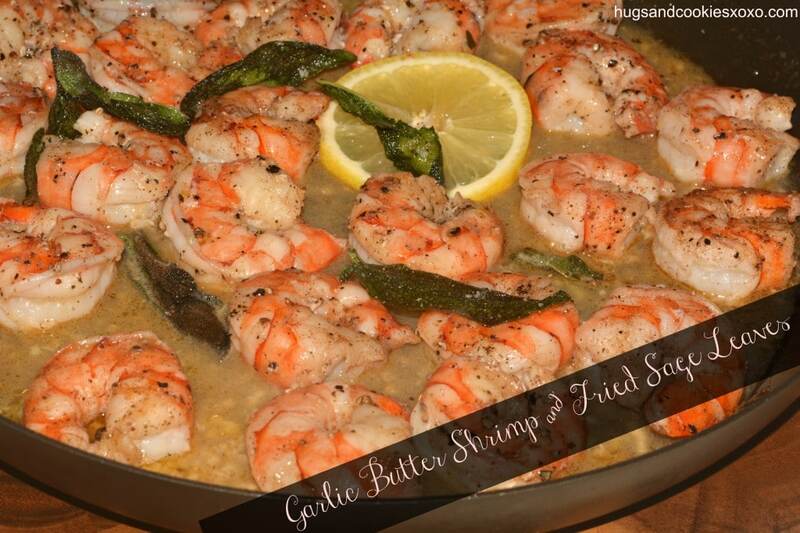 Do NOT clean skillet-keep leftover sage butter in it for the shrimp. Using the same skillet from the sage, add the 1 Tablespoon butter to the leftover sage butter and melt on medium heat. Add the garlic until fragrant. 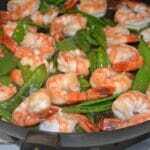 Add the shrimp ad generously salt and pepper them. Cook a few minutes on both sides (seasoning both sides) until cooked through and remove to a plate. Put heat on high and add broth/stock, wine, lemon zest and lemon juice. Bring to a boil and lower to simmer a few minutes. Taste for seasoning and add salt/pepper to taste. 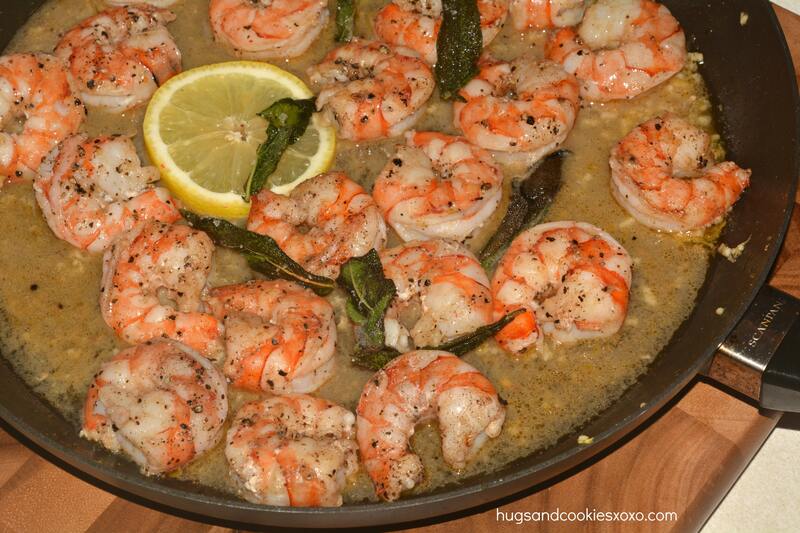 Return shrimp to pan and top with the fried sage leaves. Serve over brown rice. Looks delicious. Not a big fan of sage but I’ll try the recipe someday.